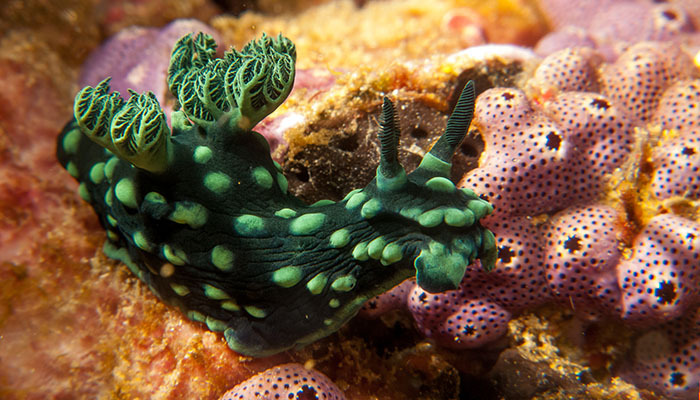 This exciting snorkeling trip visits some of the less traveled areas of the Coral Triangle of Indonesia, Siladen Island in Sulawesi and Nunukan Island in Borneo. 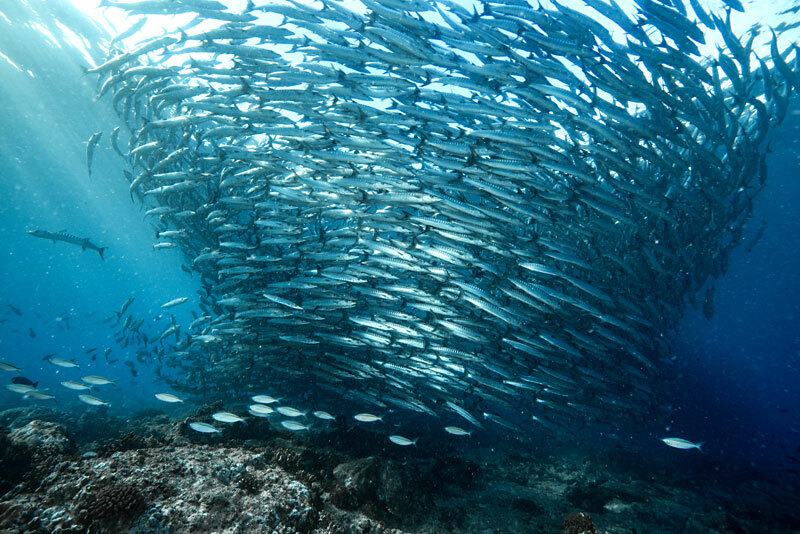 These islands and those close by have some of the most diverse reefs and richest numbers of marine life in the world. This trip is being run by our new partner and friend Ben and his team. 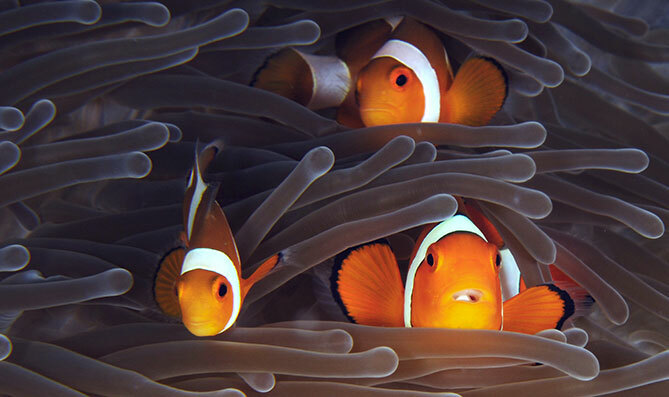 Based in the U.K., they are experts in the Coral Triangle, run amazing excursions, and have a great appreciation for the underwater world. This small group trip (16 snorkelers + guide) is an exceptional value for a 15 day remote adventure filled with fantastic reefs, beautiful landscapes and some interesting top side attractions, like orangutans! Where in the World Do You Get to Snorkel? 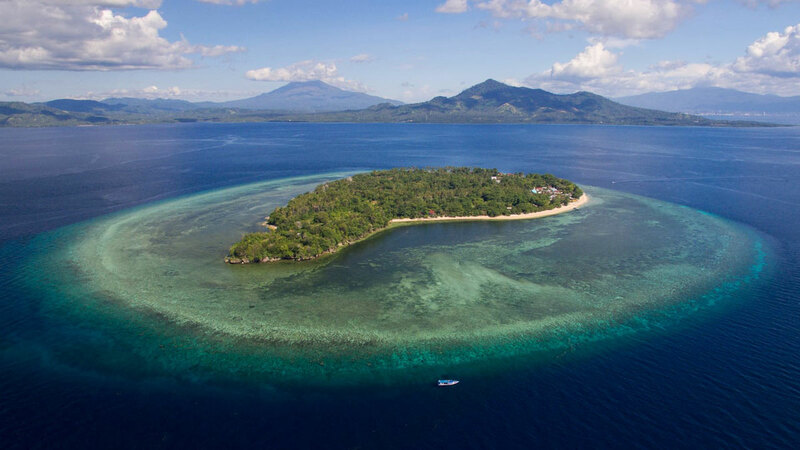 You start this Indonesian snorkel safari by flying into North Sulawesi, at Manado airport, and then take a short drive and boat ride to the Siladen Island Resort, which is within the Bunaken National Marine Park. 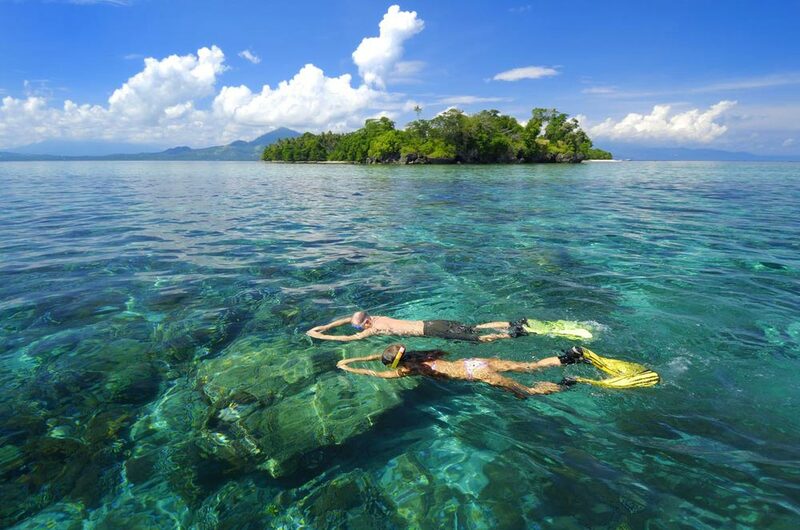 Snorkeling around Bunaken National Park offers soft coral gardens boasting beautiful fans and schools of fish, a healthy turtle population and some interesting rare critters. 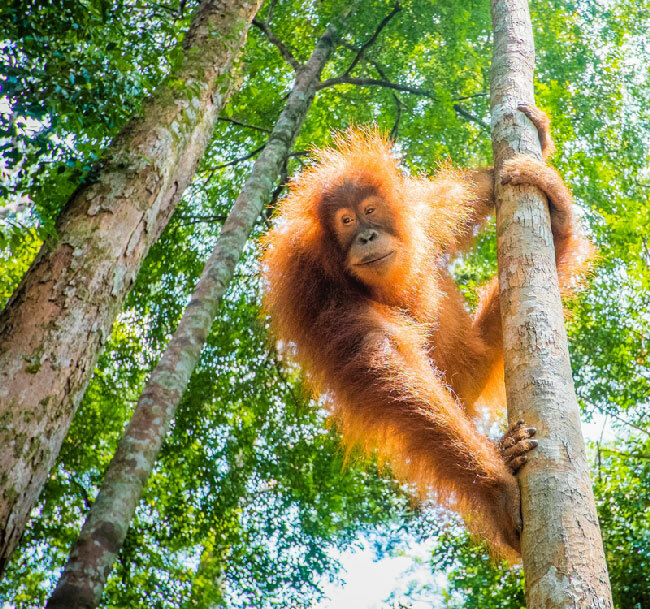 After exploring those amazing reefs for many days you will fly to Borneo for two nights at a magnificent eco-lodge in the jungle where you will see rehabilitated orangutans, proboscis monkeys, sun bears and other exotic wildlife. 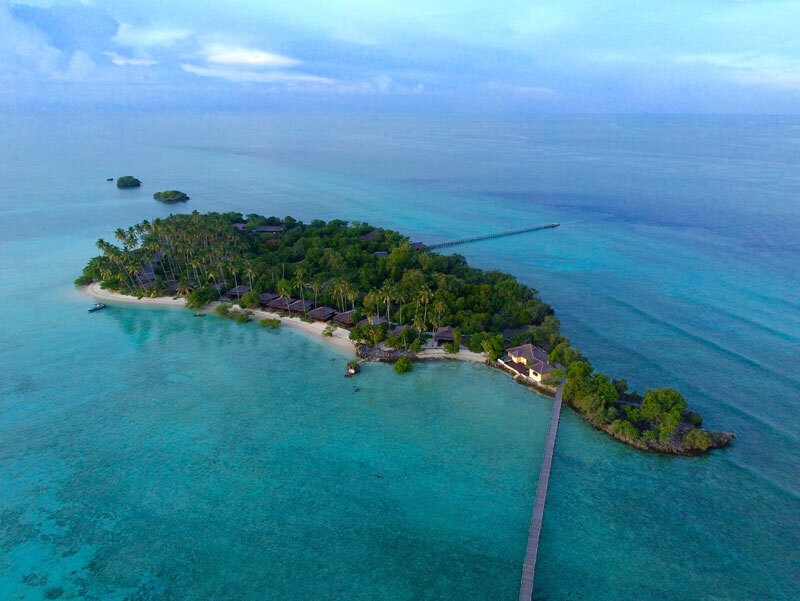 Next you will fly to Maratua Island and be taken by speed boat to Nunukan Island Resort, a white sand beach tropical paradise with bountiful reefs. 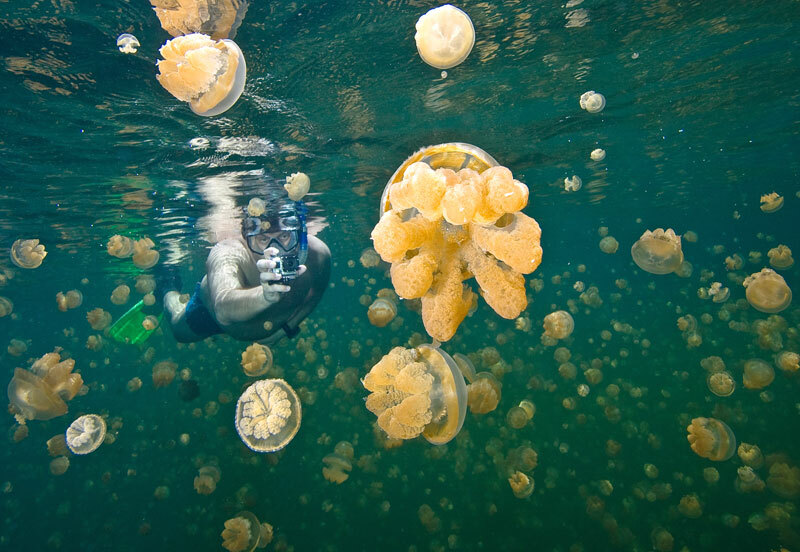 You will explore the house reef, and take a number of boat trips to close atolls, to visit many interesting sites, like a stingless jellyfish lake. 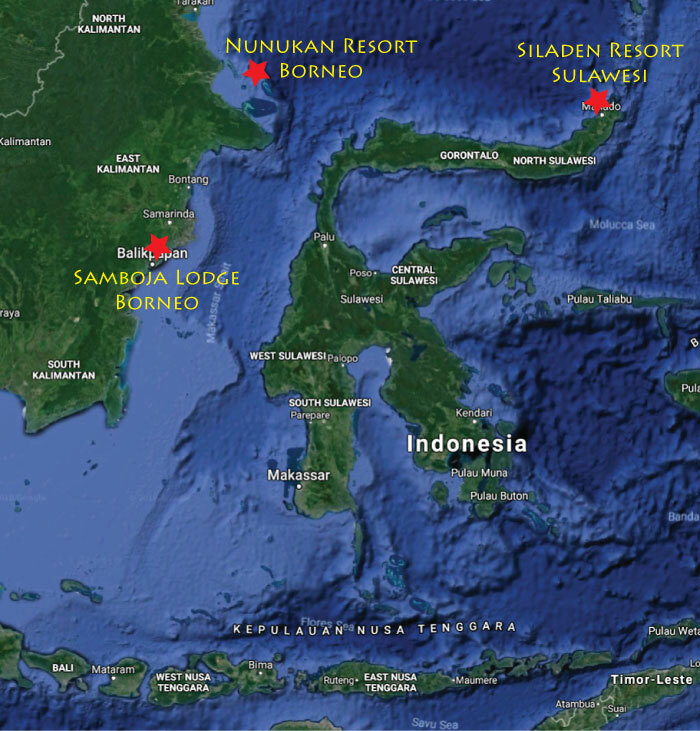 You will be staying at the Siladen Island Resort for five nights. 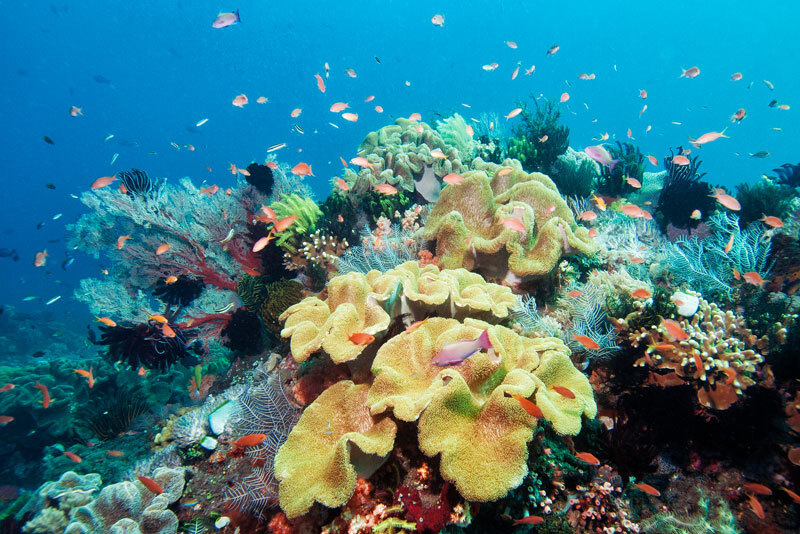 The island is in the Bunaken National Marine Park, which offers huge biodiversity and rare and endangered animals. 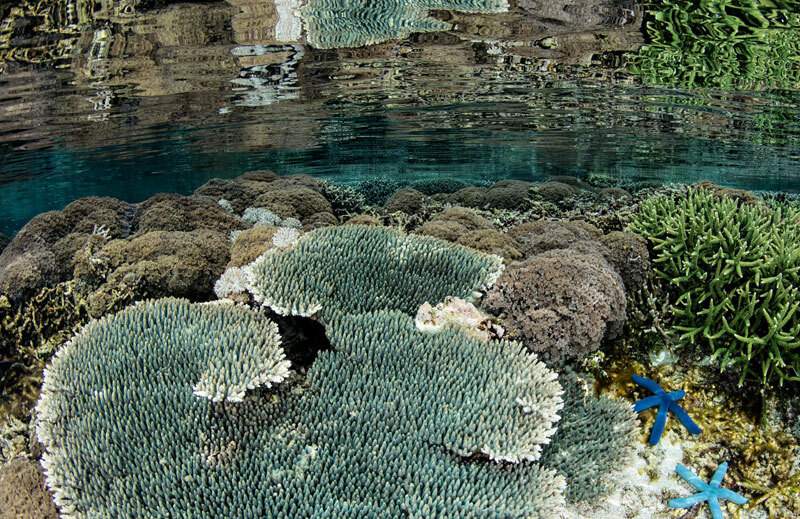 The 343 square miles of protected marine park boast an astounding variety of hard and soft corals, beautiful fans, seven species of giant clams, 33 types of butterflyfish, Bumphead Parrotfish, and a massive variety of other fish species. 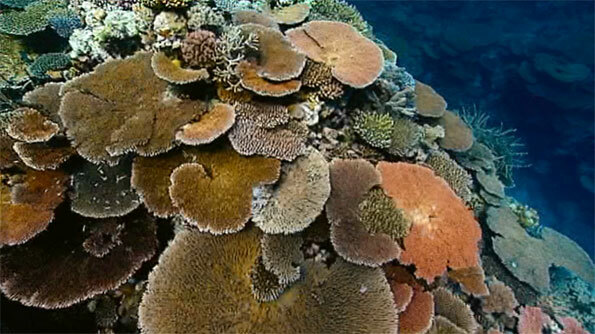 The island reefs start very shallow near shore, then drop off into steep walls that plunge down into great ocean depths. 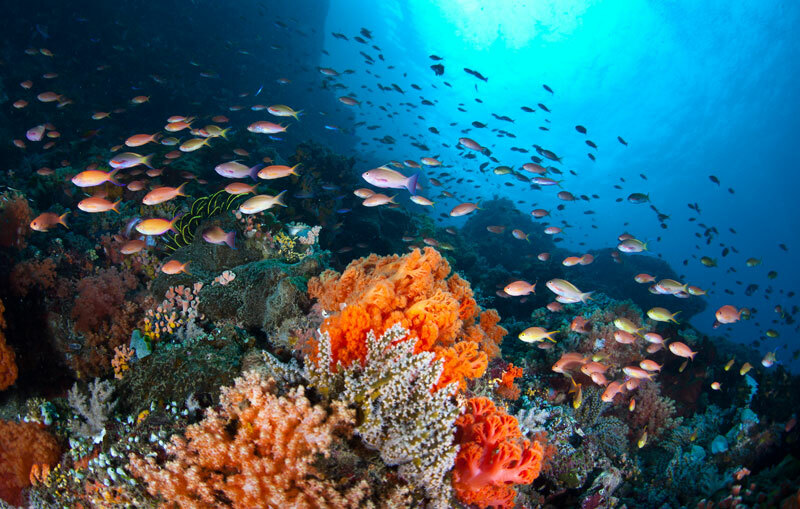 These depths create ocean currents that bring cooler waters and nutrients, which is one reason why the reefs are so full of life and healthy. Snorkeling along the shallow shallow reef tops allows you to see colorful corals and abundant fish life in warm tropical waters. 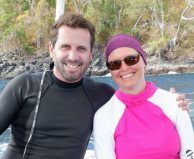 There will be four full days of snorkeling, from the excellent house reef, and from two all snorkeling boat trips per day to different unique reef areas. 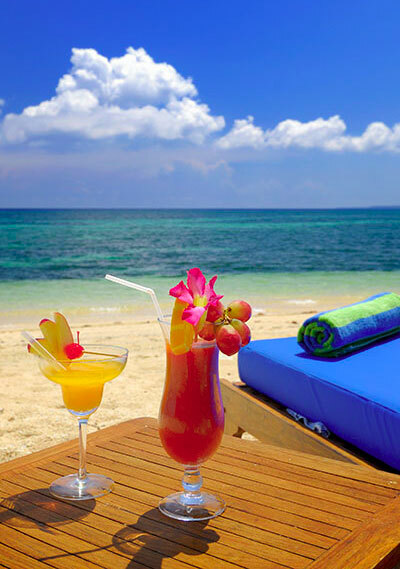 When it comes to an exclusive island experience Siladen Resort is hard to beat. 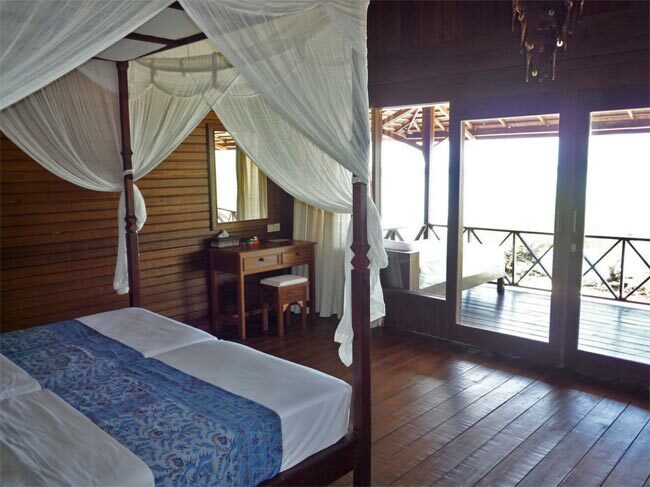 Your private, well appointed accommodations are meters from a white sand beach with beautiful garden views. The resort has a pool, lounge, and spa to pamper yourself with a massage or scrub. The rooms are air conditioned. 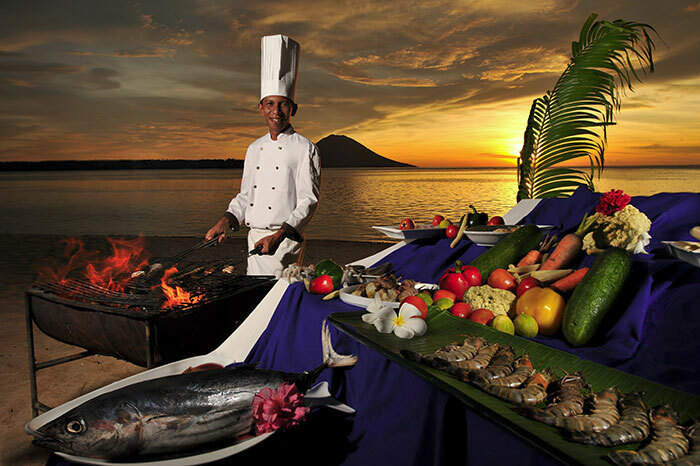 And the restaurant serves an excellent and delicious mix of international and local dishes. 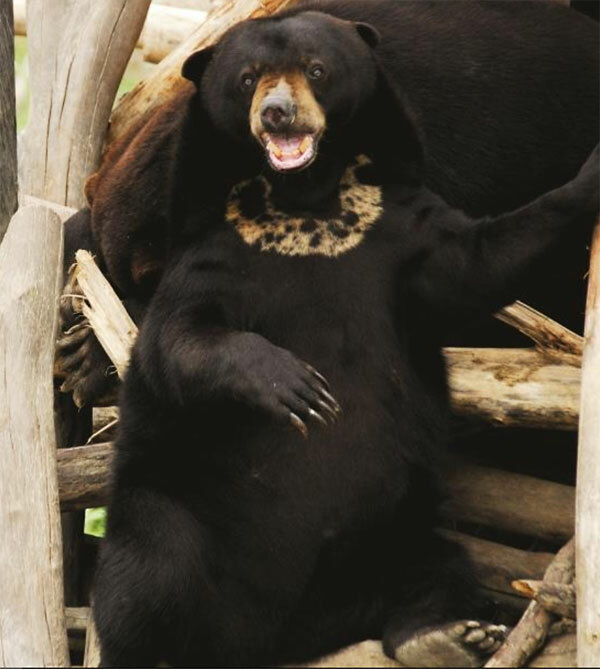 They are usually able to accommodate guests with special dietary requirements. 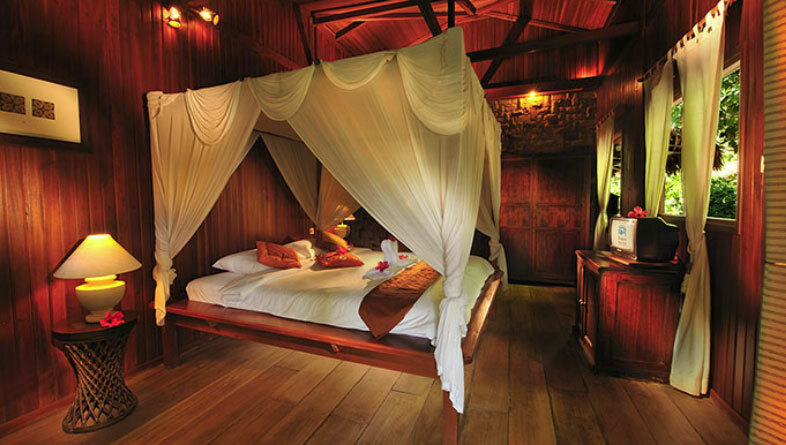 After flying into Borneo you will spend two nights (one full day) at the Samboja Lodge. 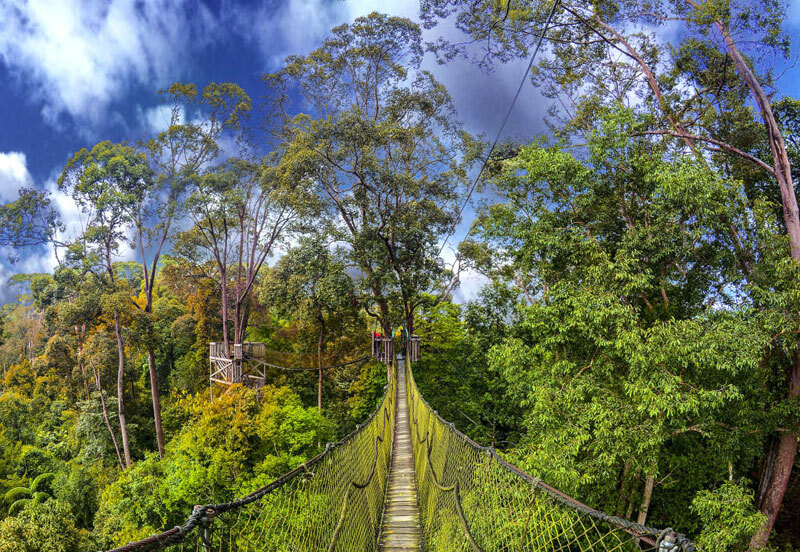 This beautiful jungle lodge is nestled in the rainforest canopy, offering magnificent views of the dense tropical jungle with superb wildlife viewing opportunities of orangutans, proboscis monkeys, macaques, sun bears, monitor lizards and hornbills. 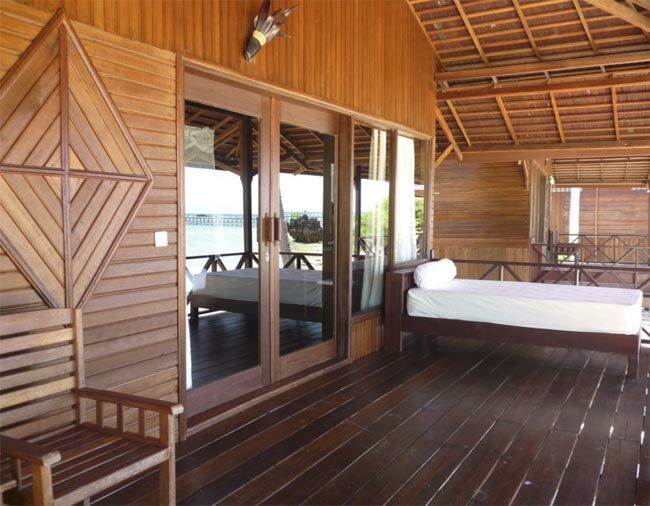 Tastefully decorated and comfortably furnished the lodge has eleven rooms which have been built using recycled materials. 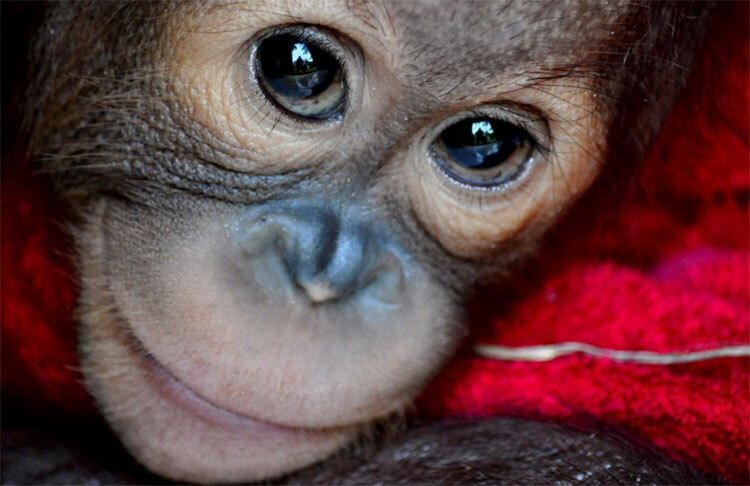 The lodge is part of the Borneo Orangutan Survival Foundation, which rehabilitates and reintroduces orangutans to the wild, rescues sun bears, and preserves and rebuilds the rain forest. 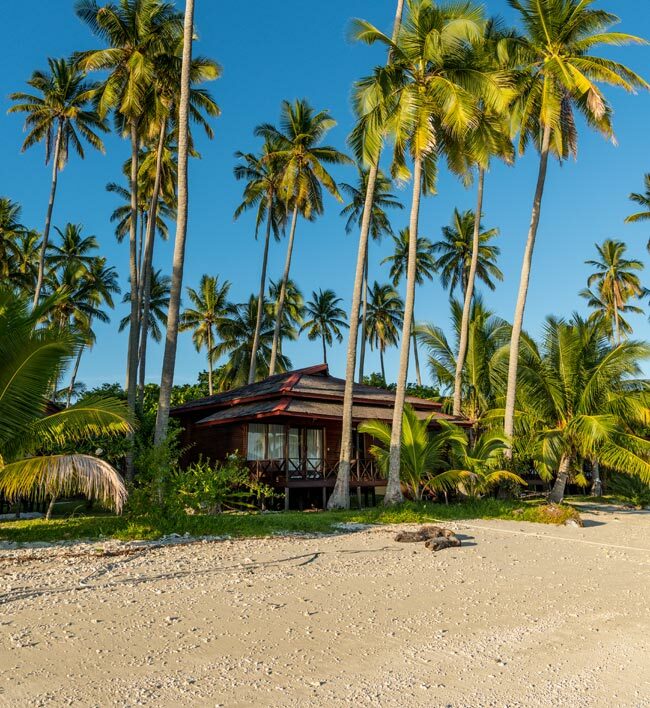 You will spend seven nights at Nunukan Island Resort, which is located at the southern end of the Maratua Atoll in Borneo, directly at the outer reef. 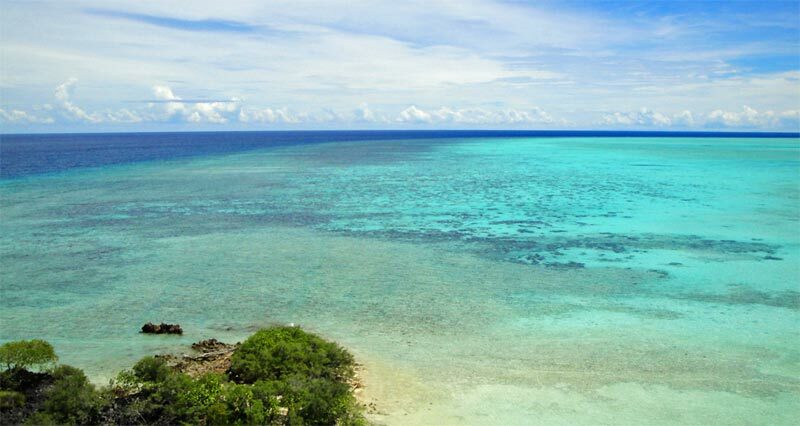 The snorkeling from Nunukan is fabulous and includes direct access to the house reef. 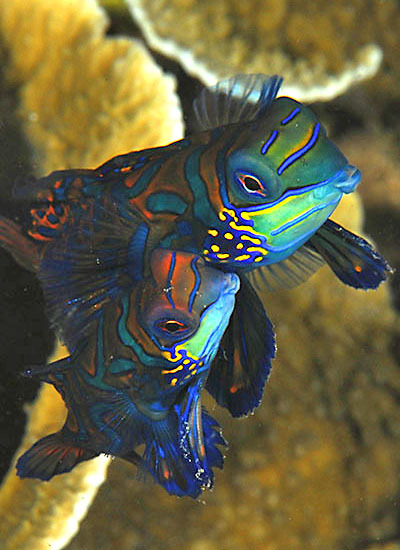 Many rare critters, as well as healthy living coral teeming with tropical fish and turtles can be found on the four kilometer stretch of reef that runs along the island. 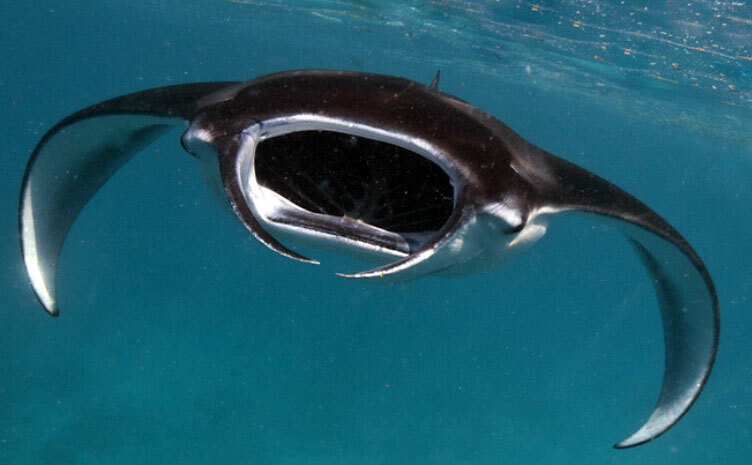 You can expect to see groupers and eagle and manta rays, you also have the chance to see leopard sharks and nurse sharks which are not uncommon here. Nearby Kakaban and Sangalaki offer great opportunities to either snorkel with the stingless jellyfish or to have manta ray encounters. 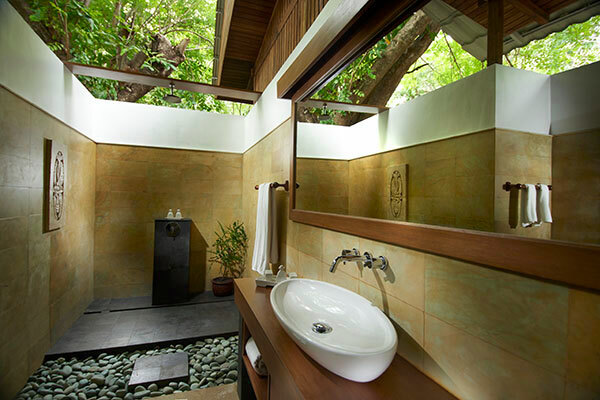 This environmentally conscious resort has been built in harmony with the island's native ecosystem and is run predominantly on solar power and collected rainwater. The resort is comprised of a restaurant, bar and dive center which all overlook the long jetty and have unobstructed views of the ocean. Beautiful gardens surround the twenty-two beachfront bungalows and the spa offers various traditional massages and treatments to try. October 5-19, 2019 - Trip full, but you can be on a waitlist. April 11-25, 2020 - Available.